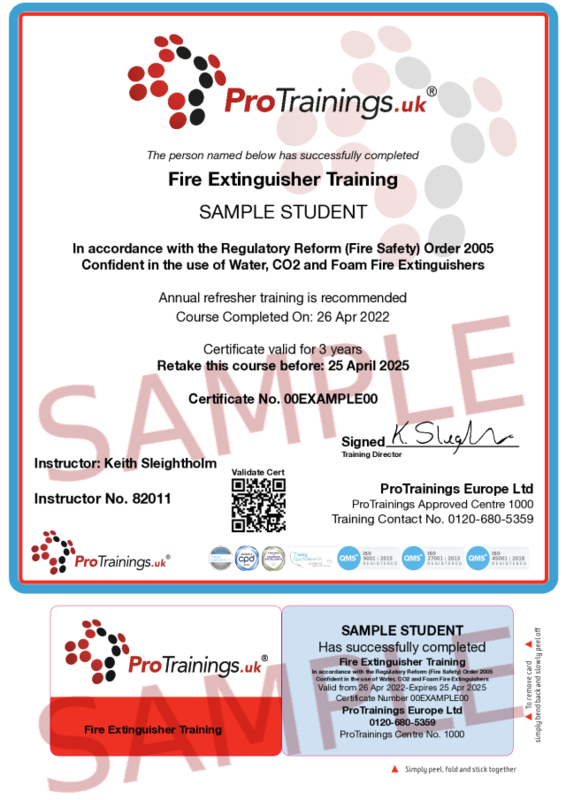 This course trains you in the practical use of fire extinguishers and is an ideal extra course to add to our level 1 and level 2 fire courses and regulated qualifications. This course offers delegates hands-on experience of tackling a fire with the use of an extinguisher on a live controlled fire, as well as an understanding the different types of extinguishers and their methods of operation, capabilities and limitations. This 1.5-hour course is suitable for Fire Marshals wishing to increase their knowledge or anyone who may find themselves in a situation where they may need to attempt to tackle a small fire.